But did you know these describe only part of one pillar of sustainability: environmental stewardship. Two additional pillars exist that drive how sustainable organizations do business. These are business efficiency and ethics, and social responsibility—terms I’ll describe in greater detail shortly. While each pillar stands as its own, they together create a complete definition of sustainability. We can define sustainability as operating in a way that satisfies an organization’s current needs without sacrificing its ability to meet those of future generations. However, it’s important to note that if one pillar crumbles, others topple with it, which can damage an organization’s ability to succeed. More and more organizations are striving to become sustainable, but that doesn’t mean it’s easy to accomplish. In fact, at the onset it may be difficult to grasp how operating within the confines of each pillar can positively impact you. Likewise, it can be challenging to figure out how to transition from a typical corporate management business model to one guided by sustainability’s three principles. Whereas the former is mainly focused on growth and profit, the latter requires you to also evaluate how this growth can affect your customers, environments and the people within them. The book The Living Company, according to Harvard Business Review, does an excellent job discussing how and why successful businesses survive and others fold or merge with other companies. The reason: Prosperous organizations have longevity because they don’t put the product before people. They believe their successful products and services are a direct result of their strong community of hardworking, loyal employees—their organization’s values. A survey, conducted by Shell in 1983, actually proved this point, according to the same Harvard Business Review source. Researchers studied 30 companies throughout North America, Europe and Japan that ranged in age from 100 to 700 years old. They found that these companies survived because their policies were based on sustainable business practices—that is, they valued people, not necessarily assets. To get a sense of how your organization may benefit by operating sustainably, let’s look at each pillar in greater detail. Operating sustainably can also help organizations grow. They offer internships through schools, colleges and universities. They strive to create a safe working environment. They partner with charitable organizations to support communities in need. They often provide employees with social responsibility hours, which they can use for community service. Globally, sustainable organizations stay informed about how their supply chain is performing and the type of impact their operations have on local communities. The former implement internal policies to eliminate corruption, and protect human rights and ecosystems. Furthermore, they follow and enforce strict sustainability guidelines, such as those provided by the Electronic Industry Citizenship Coalition, Global e-Sustainability Initiative or The UN Global Compact. These organizations also invest in local communities by participating in projects, such as the one through Plan Vivo in the Trees of Hope in Malawi. In 2016, Axis Communications offset nearly 2,917 tons of CO2 equivalents from business trips by planting over 16,000 trees in Malawi, which covered 14 hectares of land, by working with Plan Vivo in Malawi. Organizations that act socially responsible also benefit themselves. Consumers, for example, value companies that treat people well. Research from ReputationManagement.com, a leader in reputation management for businesses, organizations and individuals, found that consumers are more likely to support companies they view as having a high corporate social responsibility reputation. Nearly 90 percent, according to the study, also reported they’d feel comfortable recommending these types of companies to others, while a similar percentage would say something positive about the company to their peers and purchase its products or services. Along with these benefits, organizations that focus on social responsibility may also find that employees view their corporate culture favorably and thus feel happier at work—this is a topic we discussed in greater detail in a previous blog post on Secure Insights. In turn, this uptick in happiness can improve productivity, increase employee retention and improve the chances of attracting and hiring quality talent. Did you know electricity accounts for 61 percent of all energy consumption in office buildings, according to research from U.S. Energy Information Administration? The environmental pillar addresses the impact operations may have on the environment and the ways organizations can minimize it. Take, for example, Rock Hill School District, located in South Carolina. It wanted to upgrade its surveillance systems but do so in a way that also saved energy. After administrators agreed—based on research—that additional lighting doesn’t necessarily deter crime, the district determined that shutting off all lights at night (taking a “campus blackout” approach) and upgrading its network video cameras was actually the best way to improve safety and reduce energy costs. However, in order to implement this tactic, the district needed to install surveillance solutions that could produce quality, color footage in low-light scenarios. 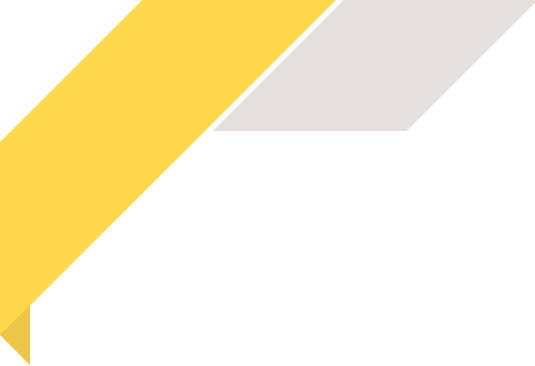 Enter Axis’ Lightfinder technology, which the district adopted. Lightfinder enables network security video solutions to produce high-resolution, color images in low-light scenarios. Not only can this improve safety, it also has the ability to help organizations, such as Rock Hill, save thousands of dollars a year in lighting costs and reinvest these dollars in student education. Environmental stewards closely evaluate not only how their current solutions and potential replacements impact the environment but also how the processes involved to transfer from one product to another could affect local ecosystems as well. Efficiency and customer satisfaction: From a business standpoint, operating ethically can help improve workplace efficiency. A study conducted by LRN, an advising and education firm, found that 82 percent of employees would actually take less money to work for an ethical company. Why? Non-ethical practices tend to distract employees, decrease happiness and create friction and dissonance within offices. Organizations that focus on risk management understand that workplace happiness is a cornerstone of any sustainable business strategy. Julie Gebauer, managing director for talents and rewards at Tower Watson, a global professional services firm, once spoke to USA Today about the connection between employee engagement and production. The same article also made an interesting observation. Those on Fortune’s list of 100 Best Companies to Work For have higher employee retention rates than average. Publicly traded companies on the list on average gained nearly 11 percent a year between 1998 and 2013. What does this say? Organizations that improve workplace culture have a greater chance of increasing employee efficiency and production. 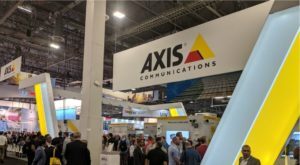 Supply chain compliance: Sustainable organizations, such as Axis Communications, operate under a company Code of Conduct, as well as one dedicated solely to suppliers. For Axis, its Code of Conduct is based on the International Labor Organization’s Declaration on Fundamental Principles and Rights at Work, the UN Global Compact’s ten principles of how to run a sustainable business and the UN Declaration of Human Rights. Suppliers must sign the Supplier Code of Conduct, based on Axis’ Code of Conduct. If companies choose not to sign the Code and instead refer to their own, Axis reviews and signs off on the latter. However, as philosopher James Harrington once said, “The law is but words and paper with the hands of swords of men.” In other words, rules, regulations and policies hold little weight if they’re not being enforced. Sustainable companies must carefully choose who they work with and constantly evaluate all aspects of their supply chain to ensure it remains in compliance with sustainable standards and protocols. Now, you may be wondering how crossing all of those “t’s” and dotting all of those “i’s” can benefit your company. Research from Deloitte actually found that well-oiled supply chains can increase growth. And while the study was conducted over three decades ago, its results still ring true today. The survey of 400 executives in manufacturing and retail companies around the world found that nearly 80 percent of organizations with high-performing supply chains had revenue growth that was well above the average within their industry. As you can see, it’s easy to see why this pillar can play such a crucial role in how well a company meets (or ideally exceeds) expectations. Sustainability isn’t a new concept, but its definition is one that has expanded to address the need to not only protect nature but also safeguard human rights with ethical business practices. An increasing number of organizations are adopting sustainable practices with the understanding they have the ability to make powerful, positive changes inside and outside of their four walls. However, for an organization to be truly sustainable, it must ensure all three pillars of its sustainability model are aligned. After all, as I mentioned, if one pillar falls, others tumble with it. Sustainable organizations understand that how they develop and use solutions is just as important as what they create. They also understand that they too can benefit from operating sustainably. At Axis Communications, for example, we focus on providing security solutions that help sustain businesses and safeguard people around the world. However, we’re also focused on ensuring the materials used in manufacturing are eco-friendly. This is an example of the three pillars working in harmony. While sustainability is still (and rapidly I might say) coming into its own in the business world, one thing is clear: How well it truly integrates will be defined by how well organizations adopt the three pillars, adapt to changing environments and evolve to meet the needs of their current stakeholders without sacrificing the needs of future generations.